At our Scottsdale dentists office, Dr. Kidess, a Phoenix dentist and her dental team, are fanatics about making your every dental visit to your dentist a fun and relaxed experience. 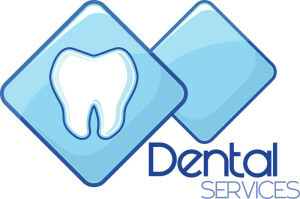 Our goal is to always provide you with the best Phoenix dental care experience. From preventative care to Complex Full Mouth Reconstruction cases, every patient is an important member of our Phoenix AZ family. Dr. Kidess, a Phoenix dentist, is proud to provide the ultimate in technology and treatment techniques so that we can treat almost all of your dental needs right here at our dentist Phoenix AZ office. There are many dentists in Phoenix / Scottsdale AZ, but how many can boast that their Phoenix dentists team has over one hundred years in combined clinical experience? Here at Dr. Kidess’s, we can definitely say that. So, rest assured, that with Dr. Kidess, dentist Scottsdale office, you are amongst experienced dental professionals. Our knowledgeable dentist team will treat you with ultimate care, empathy and service and give you the kind of Phoenix dental care that you need. More on Phoenix dentist Reem Kidess. Below is a list of some of our more popular services, please click on any of them to learn more, and please Contact Us at: (480) 991-2290 to schedule an appointment. We Offer several Sedation Options, including IV Sedation. Dental fear is often caused by bad past dental experiences, severe gag reflexes, fear of needles or the painful sound of the dental drill. Someone with a dental phobia will avoid dental care at all costs until either a physical problem or the psychological burden of the phobia becomes overwhelming. When you finally gather the inner courage to make a call to a dentist, you must be greeted by dental professionals who understand the very real nature of your fears. Our team supports your unique needs as a phobic patient from the moment you make the first call. We listen to your story and appreciate the magnitude of your fear. We then discuss the easiest and safest way to bring you the comfort and care you need. We design a treatment plan in which all treatment (in most cases) can be completed in one comprehensive visit using optimal sedation options. We will create an implant for a missing single tooth, missing multiple teeth, or replace a removable appliance. Our innovative In-Office Power Whitening system will make your teeth whiter in about 1-hour. Another option is our Home Whitening system you take with you for results in just a few days. You can also consider a combination program of both systems for optimal, long-term results. Tooth-colored fillings that are light cured to match your teeth. If you clench or grind (BRUXISM) your teeth while you sleep, most likely you are also doing the same duing waking hours. An occlusal splint is an appliance that will help protect your teeth from damaging each other during bruxism, but will also help reduce symptoms of TMJD. Splints are custom made per patient, taking into account your specific needs and comfort. Several short appointments are required to calibrate your splint, and to make sure you are comfortable, and that it is serving its function for you as well. Dr. Kidess has received specialized training in occlusion and bite therapy, and has been able to help many patient’s prevent further damage to themselves and through this treatment provided tremendous relief from TMJD related symptoms also. All of our splints are custom made with both soft and hard materials. Whether you are an athlete or casual sports participant, you should wear a mouth guard to protect your teeth. Studies have shown that custom, well fitted mouthguard will lead to optimized sports performance and output. We custom make mouth guards in both soft and hard materials. Fully computerized with digital x-rays, intra-oral cameras, and instant cosmetic enhancement imaging. Also, each patient treatment room has a flat-screen TV monitor for patient viewing of their treatment needs, images, education and for entertainment (watching movies) during their actual dental visits. This is especially popular during extended treatment visits. We also have noise cancellation headphones, and a variety of CD’s for your pleasure. Feel free to bring your MP3, iPod, etc. Dr. Kidess is an Arizona Board Certified Sedation Dentist. (Includes-IV Sedation). She has been named on the list of “America’s Top Dentists” from 2003 – to Date. Dr. Kidess is also a huge Animal Lover, and is especially fond of Labrador Retrievers. Ask her about her Yellow Lab-Lulu.